Milá’s Americana collection is built on the basis of the articulated arm, with a single segment at right angles to the shaft. 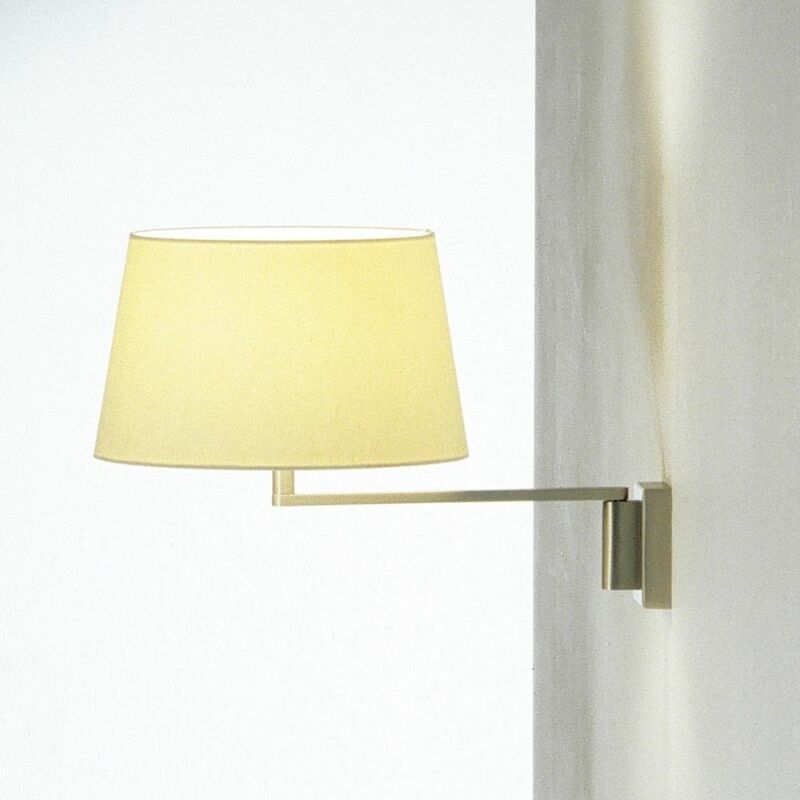 The swivel that allows the shade to rotate horizontally is fastened onto the head of the wall bracket, without a lever effect, and although the arm cannot be opened out or folded in on itself, the lamp can be moved towards you or away from you as required. The Americana collection also includes a table lamp, a floor lamp, both bearing the same features.